If you are looking to buy a right-hand drive (RHD) postal Jeep, you’ve only got a few choices: you can get a factory-made edition, hire a conversion shop to alter a regular left-hand Jeep, or convert it yourself. Conversions can be expensive and difficult (even for the expert DIYer), so factory-made Jeeps are usually the best option for both affordability and durability. Just because a Jeep is RHD, doesn’t mean you have to give up comfort and design. Jeep styling has come a long way from the barebones look of World War II Jeeps and the first postal Jeeps. Now you can add luxurious features like heated seats and cup holders that light up. Driving a vehicle with comfortable seating and an ergonomic layout will make your job much easier and more enjoyable. Jeep is not short on options when it comes to technology. Two newer and more popular features are smartphone integration and audio streaming that together can give you the ultimate musical experience. Another cool feature is Bluetooth technology, which can help you stay in touch without taking your hands off of the wheel. You can also opt for features like built-in navigation, HD radio and satellite radio. Any Jeep is going to be great in terms of cargo space compared to most vehicles. The Jeep Wrangler Unlimited is a particularly good choice for a postal Jeep because the cargo area has 31 cu. ft. of space. This kind of room leaves plenty of space for large packages and a whole lot of mail. You even have the option of collapsing the rear seats and expanding the cargo area to 70 cu. ft. Rural postal workers can encounter some pretty tough terrain and unusual situations. The Jeep Wrangler’s smart four-wheel drive can handle anything – mud, sand, gravel and other obstacles simply can’t stop this beast, with all-terrain management right on the dash. Even in colder climates, Jeep Wrangler can get you through the snow and ice with best-in-class 4×4 capability. Buyers who want Jeep durability will find that a factory-made RHD Jeep is a much better buy for short-term operating costs and long-term use than a modified RHD Jeep. Much more than just moving the steering wheel, the modification process requires extensive reworking of the transmission, suspension and engine to accomplish the switchover. All of these modifications can alter capability and may reduce the overall life span of the vehicle. You are unlikely to find RHD models at your average Jeep dealership or in the classifieds, but there are a few select dealers that carry them. It’s important to do your research and find a trusted dealer who will provide you with a fair price and a vehicle fit to your precise needs. 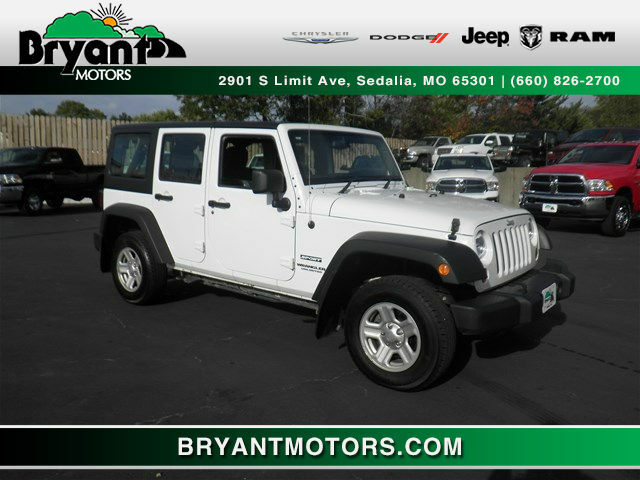 At Bryant Motors, we keep a supply of new and gently used RHD Jeeps in our inventory. We know finding these types of postal vehicles is difficult, so it is our goal to provide the widest selection of Jeeps possible to our customers. If you’re looking to purchase a RHD postal Jeep, call or stop by our Sedalia car dealership today to learn more about our inventory and financing options. We’d love to help you find a Jeep that makes your job easier!